Notes: All parts poisonous; however, mourning doves eat seeds. 6 species of Argemone in Arizona. 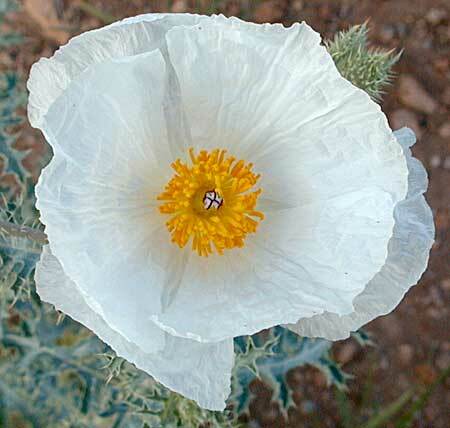 Bluestem pricklepoppy entry in the online edition of An Illustrated Guide to Arizona Weeds , Kittie F. Parker, University of Arizona Press.